Color Kinetics iColor Flex LMX gen2 in action in Sydney’s George Place foyer. The installation highlights the flexibility of the LMX strands and their design possibilities. 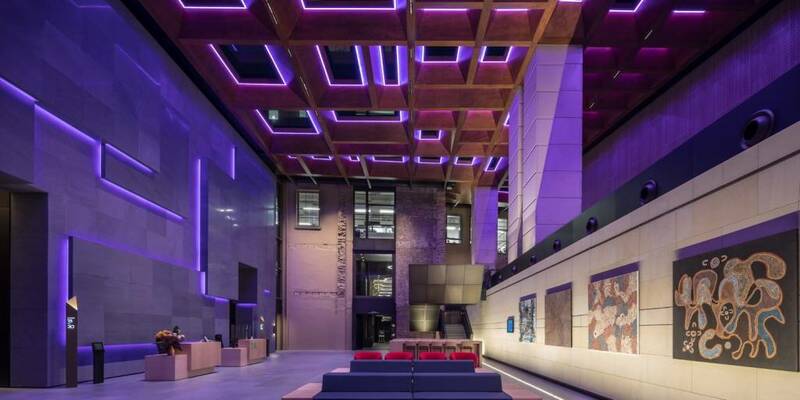 Supplied & commissioned by bluebottle, designed by Ramus Illumination and installed by Kerfoot electrical contractors, 345 George St engages visitors in an immersive experience demonstrating the capacity of light to create mood and presence. We are top tier Color Kinetics suppliers, offering the full range of Color Kinetics and Vaya fixtures and control. Once supplied and installed we will commission and programme.